Just thought I would show you a quick look I did this morning with some of the MAC Semi Precious pieces. 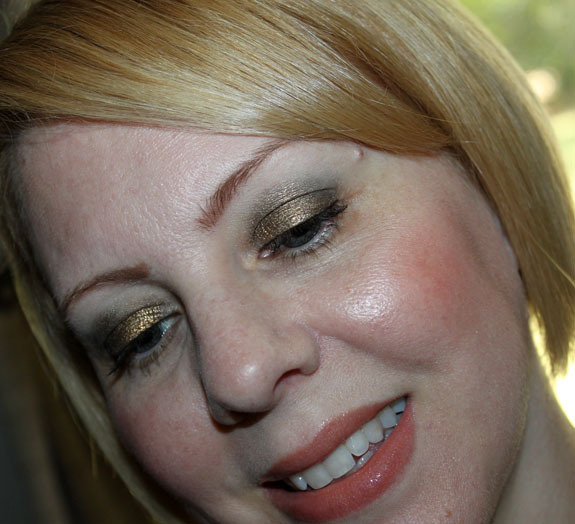 Definitely far and away my favorite product from this collection is the Golden Gaze Eye Shadow. The pigmentation is so amazing and I cannot get enough of the color. It’s super easy to blend out, even when wet! You wore all my favorite things from the collection! 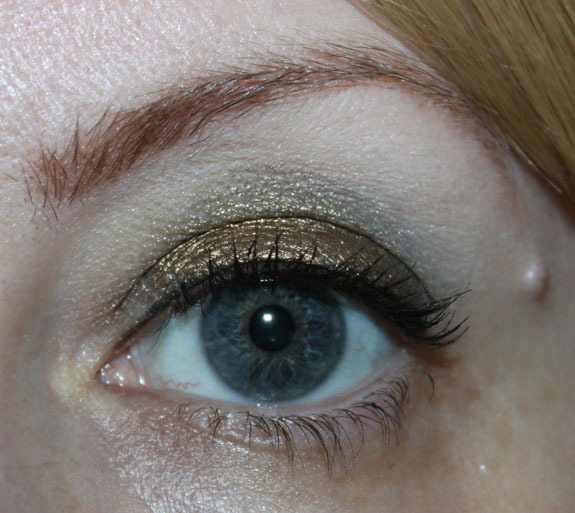 I’m not sure I need any of the mineralize shadows except for Golden Gaze. And Warmth of Coral looks amazing on you! you look really pretty and glow-y(thats a word). i’ma(another word) have to try that skinfinish stuff. That shadow really brings out the blue in your eyes. Looks nice! Oh and I don’t see anything wrong with your brows 🙂 Surprised you colored them red, though. The look is awesome. And, what really stands out to me is, that blush is seriously, totally marvelous on you. 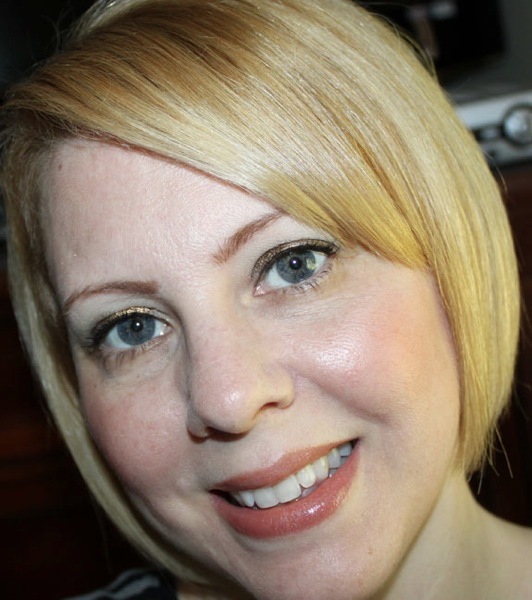 Bummer about the Benefit Bar – I love the esthetician at mine, she’s the one who convinced me to leave my arch thicker than I usually do! I love that shadow with your blue eyes! Honestly I don’t see anything wrong with your brows (though I can’t say that I like the reddish brown color that you filled them in with). Overall the look is really flattering on you. It’s the same Benefit brow kit I always use an it’s really not red at all but the camera made it look that way for some reason! The lid shade is beautiful on you! Really beautiful look! How did you use the Skinfinish powder, all over your face or just on your cheekbones? On my temples and cheekbones, down the nose & chin. Wow, Golden Gaze is stunning! I don’t really have a lot of MAC products but I think I’ll have to purchase a few things from this collection. The eye shadows are really amazing and so well pigmented!